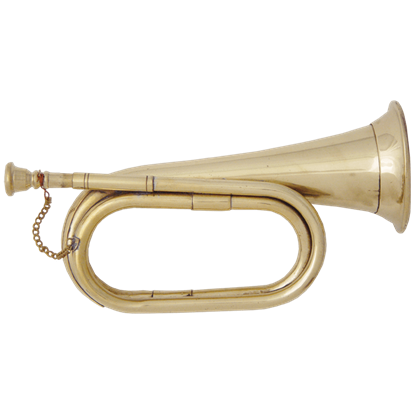 Horns, bugles, and trumpets were quite popular instruments during the Renaissance. 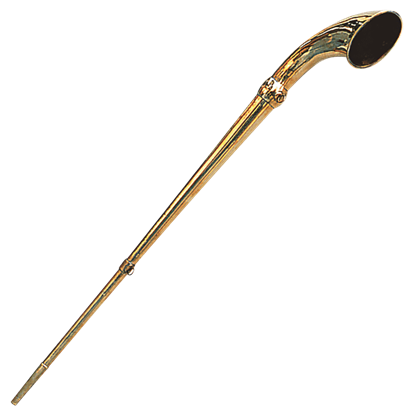 The traditional fanfare trumpet is very well known and was probably used at every ceremony, town meeting, and in every Royal Court. We have hunting horns to celebrate the feast that was caught and bugles which were used more for military purposes. 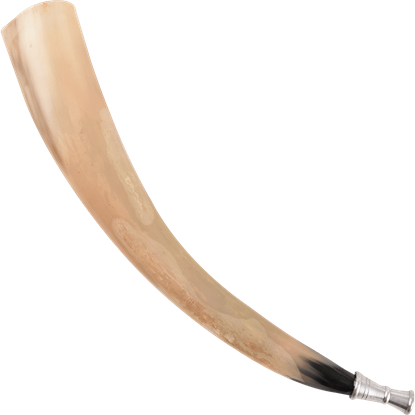 Our horns and trumpets are great for reenactments, medieval and Renaissance weddings and parties, and Renaissance fairs. Instruments have long been used to signal soldiers on the field of battle, and the US Army is no different. This Antiqued 7th Cavalry Bugle is modeled after typical army bugles and pays homage to the 7th cavalry. These Civil War bugles are instrument-quality pieces, capable of sounding the charge with ear-splitting efficiency. This particular model is unmarked, with a striking brass coloration and authentic design. Instruments are an effective way of communicating orders, especially when working with large numbers. This Civil War Army Bugle is modeled after the bugles that were used to signal troops in the field with orders. 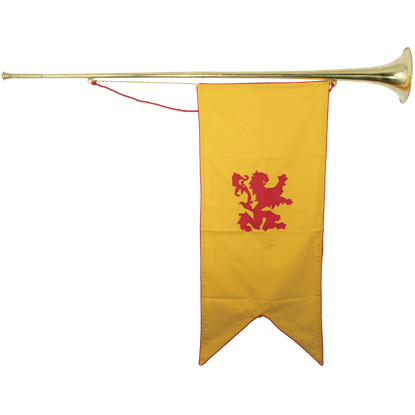 The Heralds trumpet will sound a fanfare for lords and ladies or decorate castle walls to perfection! 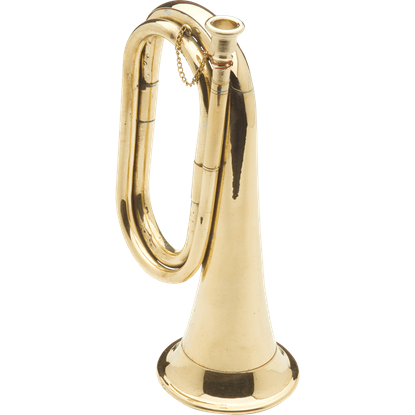 Crafted in brass and measuring an imposing 50 inches long, the trumpet can be supplied with an optional banner (see Item ON1202). These Civil War bugles are instrument-quality pieces, capable of sounding the charge with ear-splitting efficiency. 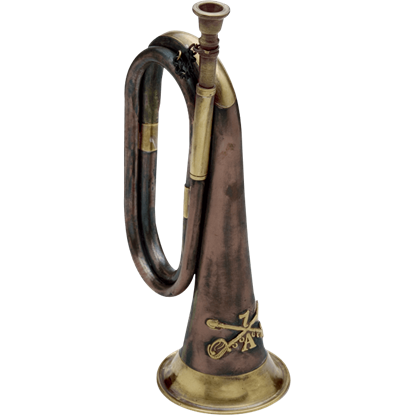 Four bugle models are available, one each with the U.S.A. and C.S.A. insignia and two unmarked pieces. Communication during battle could be difficult, if not out-right impossible with the noise. 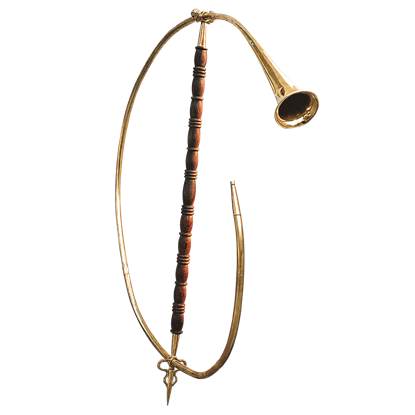 The Romans devised a way to do so, utilizing this Horn Cornu to encode a generals orders into signals and broadcast them over the field. Even the Romans held processionals and parades, oftentimes in celebration of their armies conquests and deeds. And during those processionals, instruments like this Tuba, also known as the lituus, could be heard bellowing its notes. 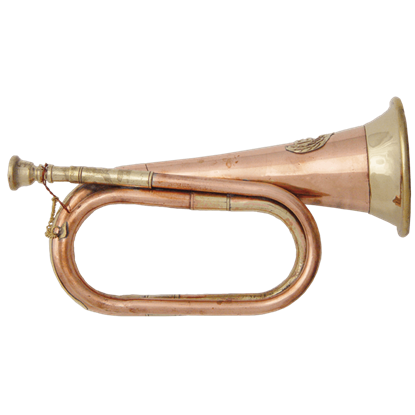 These Civil War bugles are instrument-quality pieces, capable of sounding the charge with ear-splitting efficiency. This model features the insignia of the C.S.A, making it a perfect reenactment accessory for Confederate forces. 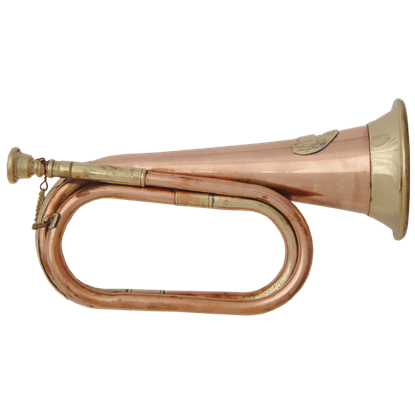 These Civil War bugles are instrument-quality pieces, capable of sounding the charge with ear-splitting efficiency. This model features the insignia of the USA, making it a perfect reenactment accessory for Union forces. Furnish your halls like that of a mighty Viking warlord with the Medieval Bugle Horn. Made of natural, a natural horn with a metal mouthpiece, this bugle horn is perfect for recreating an ancient Norse atmosphere.